Are you interested in the human experience and the wonders of diversity? Or maybe you’re considering an interracial relationship – or already involved in one? Then welcome to my world! 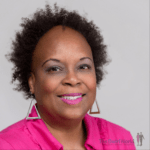 I’m Michelle Matthews Calloway – also known as A Swirl Girl. A former “Army brat,” I became interested in diversity at an early age because my family was always traveling and living in new cities and countries. I met and married a wonderful man and unfortunately became a widow when he fell victim to a massive heart attack. Three years after his death reentered the dating world. I decided to expand my dating options – and took to interracial dating like a fish to water. I’ve dated interracially exclusively, got engaged and un-engaged, and now I’m footloose, fancy free and enjoying my life as a Swirler. My educational career started in the business field with a B.S. degree in Marketing and an MBA. I decided to pursue my passions for writing, teaching, and research and moved into the field of higher education.The diversity afforded through interracial relationships intrigues me so much that I incorporated the concept into my PhD dissertation. 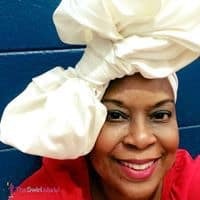 This blog documents not only my journey, it also tells the stories of others who make the conscious decision to enter The Swirl World. (In case you didn’t know, “Swirling” is another term for interracial dating and marriage). If you enjoy culture, history, and diversity, come on over and interact with a community of over 51,000 people on The Swirl World Facebook page, which is an offshoot of this blog. You can also say hello to me and over 3200 followers on Twitter @ASwirlGirl. If photos inspire you, join over 13,000 followers of our various Pinterest boards – one of which where we upload pictures of lovely interracial couples from around the world. Last but not least, if LinkedIn is your thing, friend me and let’s network! In June 2014 we launched The Swirl World Podcast, and launched The Swirl World Men’s Podcast in December. Our audience is Black women and the diverse men who love them. We interview the best and brightest people, all designed to enhance the lives of Swirlers worldwide. If you want to be a guest on the podcast, or know someone who should, send an email to INeedMySay@gmail.com. Feel free to subscribe to the podcast on iTunes. You can also listen to the show on Google Play, Stitcher Radio, PlayerFM – and now on iHeart Radio! I’m a Louisiana Press Association award-winning writer, editor, blogger, workshop and seminar facilitator. I have 20+ years of experience in public speaking and curriculum writing. I’m also a member of Delta Sigma Theta Sorority, Inc., the National Association of University Women and the New Orleans Press Club. I taught Continuing Education classes at the University of Louisiana and I’m the former Editor of Acadiana Lifestyle Magazine. I also served a term as a Citizen Editor for the Lafayette Daily Advertiser newspaper, where I contributed blogs and editorial content. Something quirky about me? I’m a licensed massage therapist! Hello Michelle, my name is.Brenda and I’m and American Black with three Adorable swirl grandchildren that I would like to send some pictures and add into this world world team at your request . Howdy! Thanks so much for responding. Please feel free to join in the conversation. I’d love to hear your perspective on the different posts! Hi, SirLoin! Thanks so much for stopping by my blog. I appreciate your encouraging words! Derek, I’m happy that both you and your wife chose character over color. Love comes in all colors of the rainbow! I am white, my wife is black. Its working out pretty well I would say! I love what you have written in your website is very encouraging and illustrative, it gives tips to overcome the harshness of everyday life and it put you in track to tackle life´s obstacles with a brilliant resilience that accommodate your needs and wants in the context of possibilities…. I emailed you; not sure if you received it. Maybe check your spam folder?? I can be reached at aswirlgirl@theswirlworld.com. Hey, this is Jamila from BB&W. Is there an email address where I can contact you? You can email me at jamilathewriter@gmail.com. Thank you! *Cheezin* Check your e-mail (or maybe even your SPAM folder). OK, and I saw the previous post with your name in it and thought that was the proper spelling. I know, I get a grade of “D” on my spelling test and a full grade penalty for copying….. By the way, if you want to email me at all, my email address is attached with my joining your blog. And big time congrats on getting the dissertation submitted, Dr. Michele ( I mean Dr. Michelle)..
Well hey, Jeff! *Waving* You certainly may call me Michelle (as long as you say it with two L’s)! LOL! Hey! It is EarthJeff! Believe it or not, I just came across this blog of yours. So on here may I actually know you as Michele? Hi Michele! Thanks so much for your warm words of encouragement, and thanks for stopping by. Please feel free to join the conversation! Great blog, and congratulations on the dissertation! Hopefully I am soon to follow…. A developer created the icon and logo; the theme is a premium selection offered by WordPress. Hey my friend! I haven’t made it to the PO yet – I know, I know! Hopefully by Saturday. LOL! Thanks for checking out the blog. I look forward to receiving your feedback. Love you! I am truly enjoying the layout and layout of your website. It is a quite simple on the face which makes it considerably more pleasant will come the following and visit more often. Do you hire out a developer to create the theme? Fantastic work!